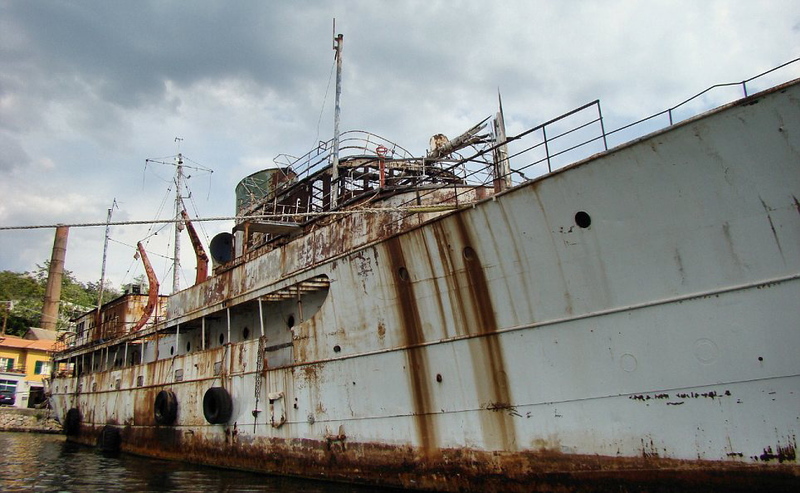 The price tag is a staggering $55 million, which would cover a refit of the ship's gutted interior and rust-rotted hull. 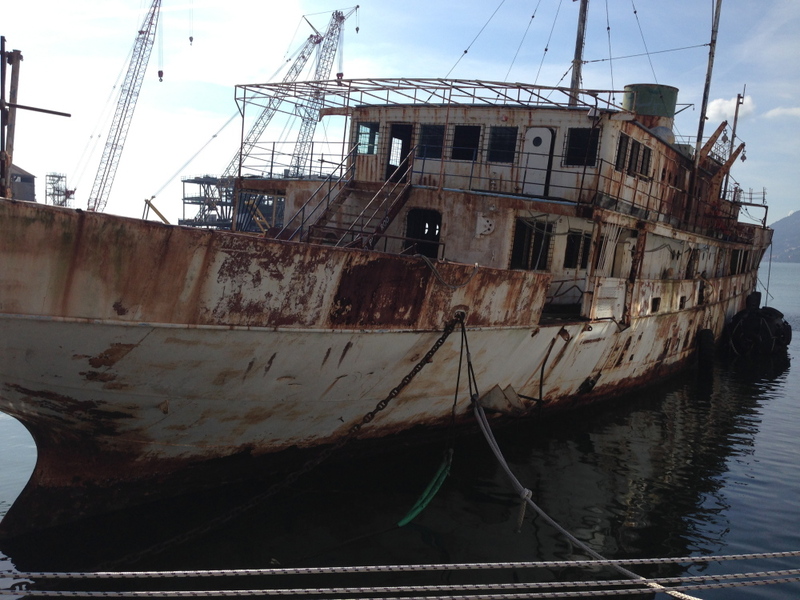 A rusting hulk of Maine and United States history is for sale in an Italian shipyard. Saving this ultimate fixer-upper will take a vivid imagination — and an estimated $55 million. A 244-foot yacht built by Bath Iron Works for a paper industry magnate and later repurposed as President Harry S. Truman’s “seagoing White House” is likely destined for the scrapyard unless a buyer is found. While promotional materials call the Williamsburg “a charming refit project,” broker David Seal with yacht sales firm Camper & Nicholsons International is more blunt. “It’s in a dreadful state, an absolutely dreadful state,” the Monaco-based Seal said in describing the ship’s gutted interior and rust-rotted hull. The $55.5 million price tag includes the cost of converting the ship — which has sat unused for two decades — into a modern “high-end luxury yacht” based on designs that already have been drafted. While Seal said a buyer could pursue a less-luxurious refit of their own choosing, he estimated the price to repair to just the hull and superstructure at $13 million to $14 million. “From my personal point of view, I think it would be a wonderful story to have her sent back to the United States and restore it because it has such an amazing history,” Seal said. 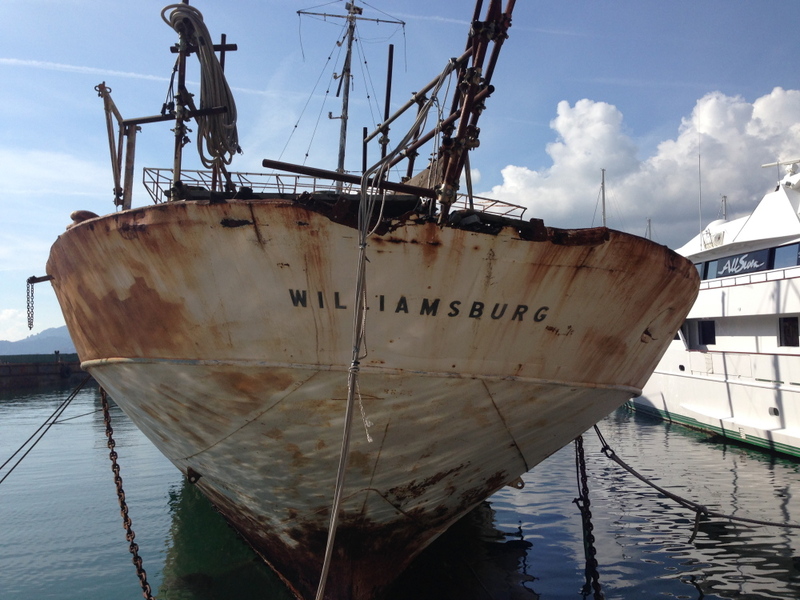 The Williamsburg’s current status as a neglected “ghost ship” belies the history of a vessel on which Truman hosted world leaders for pivotal discussions such as the post-World War II reconstruction of Europe, the Korean War and the U.S.-Soviet arms race. But the Williamsburg also was Truman’s respite from Washington, for frequent poker games with friends or vacations along the Eastern seaboard, said Randy Sowell, an archivist with the Harry S. Truman Library and Museum in Independence, Mo. “He was very fond of the Williamsburg,” Sowell said. The Aras II was built for Hugh Chisholm, a part-time Portland resident who built a pulp and paper industry empire in the Northeast and Canada that he eventually turned into International Paper Co. Chisholm, who is also credited with helping set the standard for sustainable forestry practices, was an early investor in BIW, serving on the shipyard’s board of directors. A roster of ships built at BIW from the 1920s through the early 1930s shows a long list of luxury yachts constructed for people such as banker J.P. Morgan and the vice president of Ford Motor Co.
Nathan Lipfert, senior curator at the Maine Maritime Museum in Bath, noted that while the Aras II was by no means a small yacht, it was overshadowed by the 343-foot Corsair IV yacht built at BIW for Morgan and launched months before the Aras. Soon after the launch of the Aras, BIW began building Navy warships, part of a tradition that continues today. 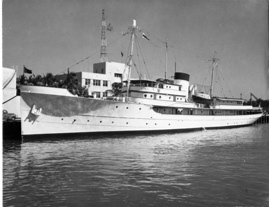 In 1941, the Aras II was purchased by the U.S. government, along with many other private ships, and converted to military service during World War II. The renamed USS Williamsburg gunboat escorted other ships in Iceland, housed VIPs and served as the flagship for the Navy admiral in charge of training for the Atlantic fleet. After the war, Truman ordered the Williamsburg converted into the official presidential yacht. In addition to vacationing on it, Truman regularly hosted dignitaries on the Williamsburg and held summits there with his Cabinet and world leaders. In December 1950, for instance, Truman, British Prime Minister Clement Attlee, and the top military and foreign affairs officials from both countries gathered aboard the Williamsburg to discuss a cease-fire resolution to end the then six-month-old war on the Korean peninsula. The war would drag on for several more years. In January 1952, Truman hosted British Prime Minister Winston Churchill and top leaders from both nations for a dinner meeting, according to administration documents maintained by the University of Wisconsin. “At the table at the end of the evening (Churchill) said to the President that of all the meetings which he had attended in his career as Prime Minister with his American colleagues he had never attended one in which he thought the atmosphere was so conducive to close and cordial relations between the two countries as the one upon the Williamsburg,” Truman’s Secretary of State, Dean Acheson, wrote in a memo about the meeting. Truman’s successor, President Dwight D. Eisenhower, ordered the ship decommissioned in 1953. The Williamsburg spent about a decade as an oceanographic research vessel based out of Woods Hole Oceanographic Institute in Massachusetts. The ship’s decline began in the late 1960s, when it was severely damaged during an incident in drydock. It spent years in Washington, D.C., and New Jersey as part of failed or short-lived attempts to operate the ship as a floating restaurant. In the early 1990s, the Williamsburg was transferred to a shipyard in Italy by a group planning to convert the vessel into a luxury cruiseliner. But the project went bankrupt, Seal said, and ownership of the ship eventually transferred to the Navalmare shipyard in La Spezia, Italy. For the past 20 years, the ship has rusted away in the northern Italian port city. Seal said the Italian government blocked a previous attempt to scrap the ship because of its history. And there have been several previous attempts to save the Williamsburg, most recently by Gianfranco Oddone, an retired Italian ship repairman who generated media coverage of the ship’s fate in the U.S. last year.